The story of how the emerging food justice movement is looking for to become the American food system from seed to table. In these days’s food system, farm workers face difficult and hazardous conditions, low-source of revenue neighborhoods lack supermarkets but abound in fast-food restaurants and liquor stores, food products emphasize convenience relatively than wholesomeness, and the international reach of American fast-food franchises has been a major contributor to a pandemic of “globesity.” To combat these inequities and excesses, a movement for food justice has emerged in up to date years in search of to become the food system from seed to table. 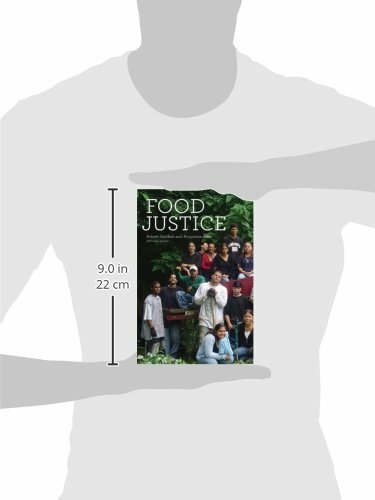 In Food Justice, Robert Gottlieb and Anupama Joshi tell the story of this emerging movement. A food justice framework ensures that the advantages and risks of how food is grown and processed, transported, distributed, and consumed are shared equitably. 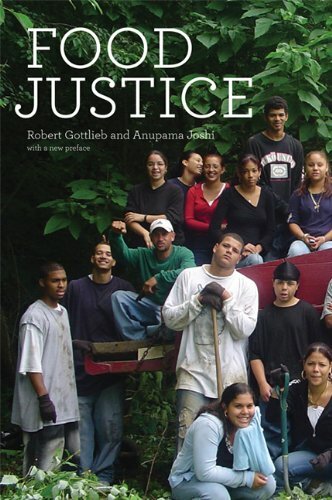 Gottlieb and Joshi recount the history of food injustices and describe current efforts to change the system, including community gardens and farmer training in Holyoke, Massachusetts, youth empowerment through the Rethinkers in New Orleans, farm-to-school programs across the country, and the Los Angeles school system’s elimination of sugary soft drinks from its cafeterias. And so they tell how food activism has succeeded at the highest level: advocates waged a grassroots campaign that convinced the Obama White House to plant a vegetable garden. The first comprehensive inquiry into this emerging movement, Food Justice addresses the increasing disconnect between food and culture that has resulted from our highly industrialized food system.